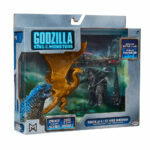 Our #GodzillaToyTakeover continues with an in-depth look at the 3.5-Inch Monster Battlepacks from JAKKS Pacific, just one of the assortments available as part of their Godzilla King of the Monsters toyline. Watch our 4K unboxing and review in the video embedded above or on our YouTube Channel, then read on for more details about these awesome new toys! 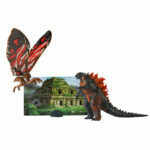 Overall, the amount of detail that JAKKS Pacific packed into such smaller figures can’t be understated. 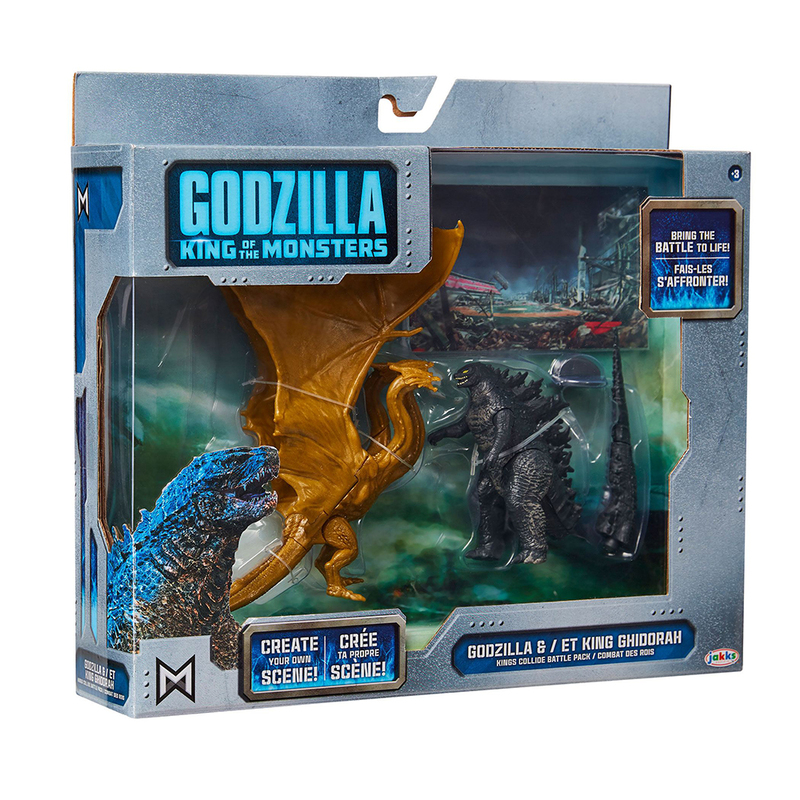 Impressive sculpts across all the figures, coupled with minimal but effective paint applications bring these massive movie monsters to life perfectly in miniature form. Each set contains two figures, including a different deco of Godzilla depending on the paring: Burning Godzilla with Mothra, Atomic Godzilla with Rodan, and “Normal” Godzilla with King Ghidorah. 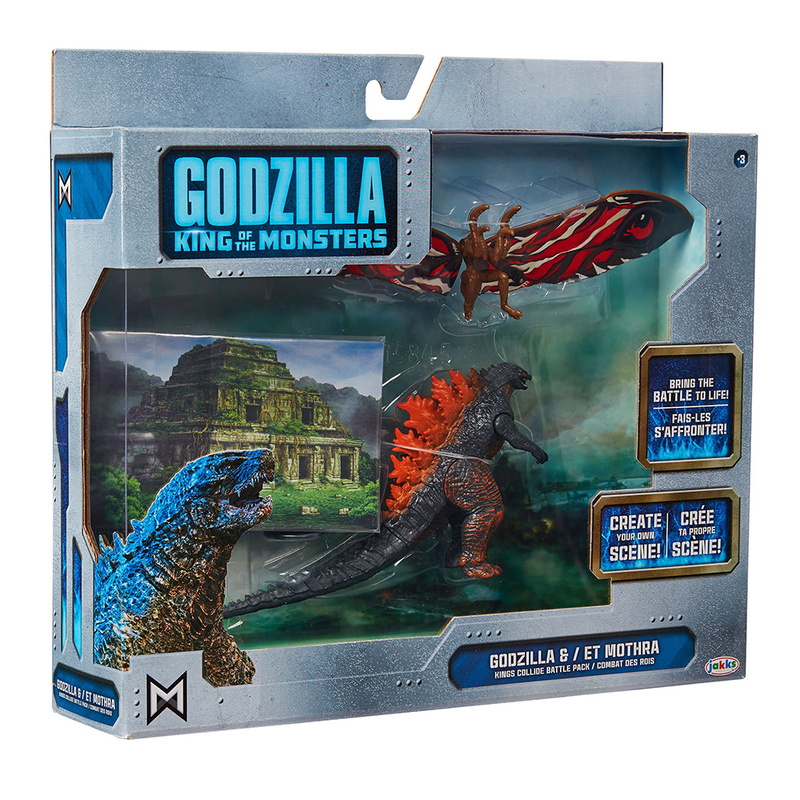 Also included in every Monster Battlepack are two mini-backdrops which features locales from the movie, as well as plastic clips to display these scenes cards upright. 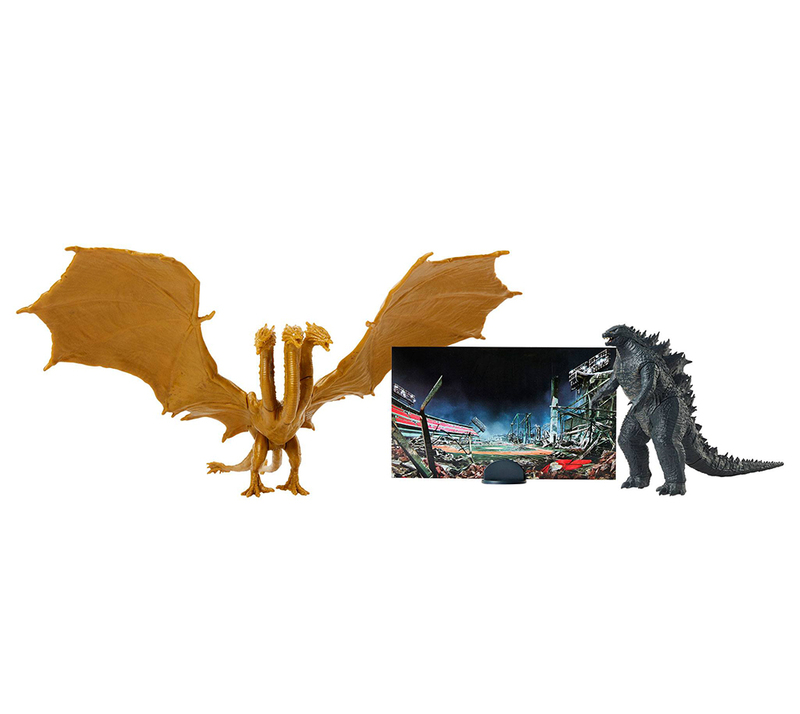 Three different designs of these backdrops are shared across all three sets, so collector’s picking up the entire assortment will end up with doubles of each scene. As noted in our Video Feature, taking these out of the package without damaging them was almost impossible. However even with a few bends in the cardboard, the backdrops display just fine. 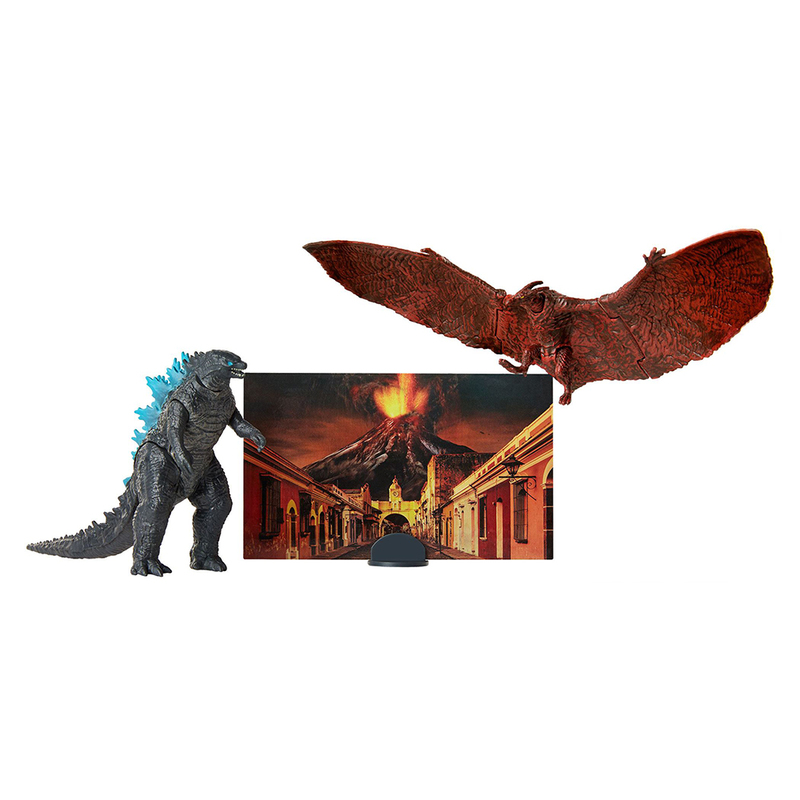 We have some official Monster Battlepacks images to share along below, along with pricing and availability information for this range of Godzilla King of the Monsters toys from JAKKS Pacific. 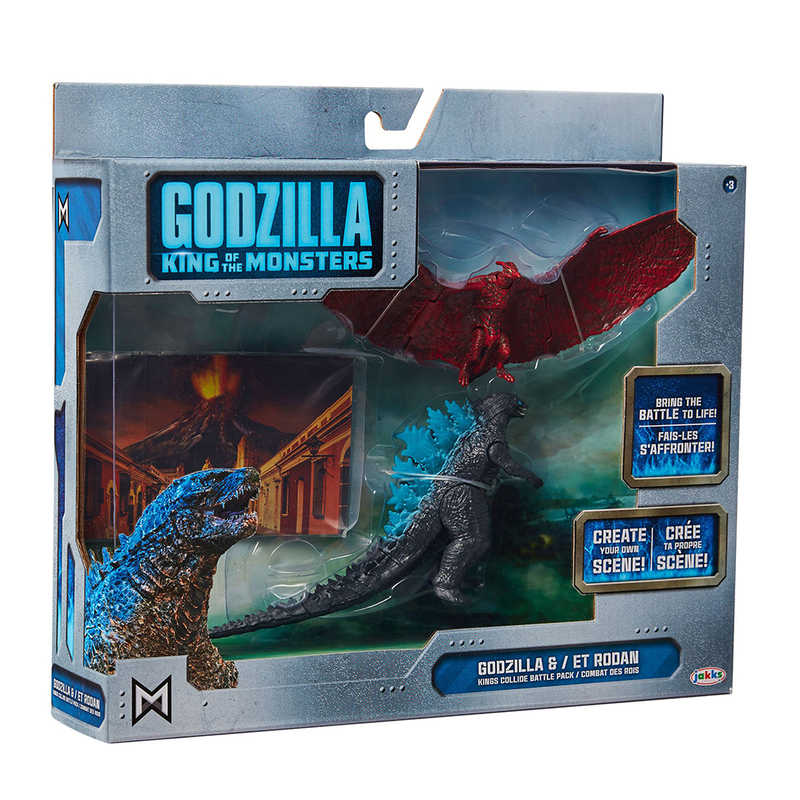 Keep following our #GodzillaToyTakeover on Collect Jurassic’s Instagram, Twitter and Facebook, plus look for Part 2 of our YouTube 4K unboxing and review of the 6-Inch Monster figures. 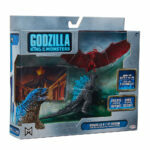 Two 3.5-inch tall, articulated monster figures are included in each battle pack. Recreate the action from the movie with a Godzilla figure, a legendary monster figure, and a backdrop accessory. 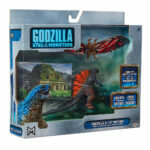 Three unique versions of Godzilla are available in the battle packs. Collect them all!